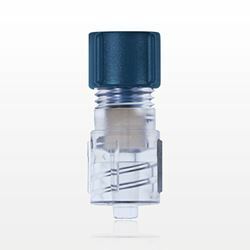 Qosina offers a variety of valves and tuohy borst adapters that are in stock and ready for immediate delivery. Made with a blue flat cap, Qosina part #11224 is a tuohy borst adapter designed to prevent the backflow of fluid around instruments that are 0 FR - 13 FR. The valve features a tinted body suited for use with gamma sterilization and a barbed connection that accepts 0.449 inch - 0.472 inch ID tubes. This large bore tuohy is ideal for applications which require the use of large instruments or devices. Qosina has a wide selection of large bore tuohy borst adapters to meet your project requirements. 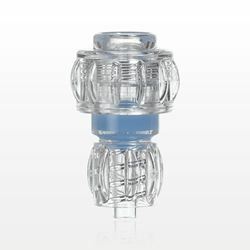 Qosina offers a variety of valves and tuohy borst adapters that are in stock and ready for immediate delivery. 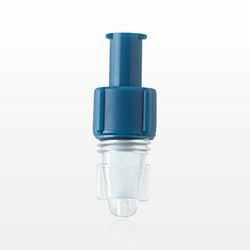 Made with a blue flat cap, Qosina part #11228 is a tuohy borst adapter designed to prevent the backflow of fluid around instruments that are 0 FR - 13 FR, and features a tinted polycarbonate body suited for use with gamma sterilization. 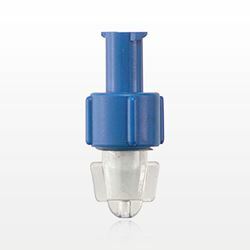 With a threaded flare connector and female luer lock sideport for flushing, this large bore tuohy is designed for applications which require the use of large instruments or devices. Qosina has a wide selection of large bore tuohy borst adapters to meet your project requirements. 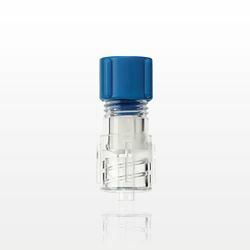 Qosina offers a variety of valves and tuohy borst adapters that are in stock and ready for immediate delivery. 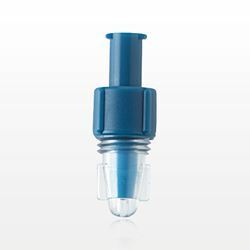 Made with a blue flat cap, Qosina part #11226 is a tuohy borst adapter designed to prevent the backflow of fluid around instruments that are 0 FR - 13 FR, and features a tinted polycarbonate body suited for use with gamma sterilization. 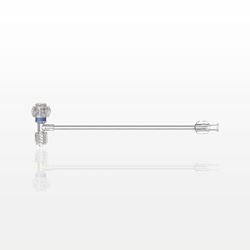 With a threaded flare connector and tubing sideport for flushing that accommodates 0.2 inch OD tubing, this large bore tuohy is ideal for applications which require the use of large instruments or devices. Qosina has a wide selection of large bore tuohy borst adapters to meet your project requirements. 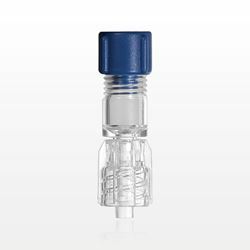 Qosina offers a variety of valves and tuohy borst adapters that are in stock and ready for immediate delivery. 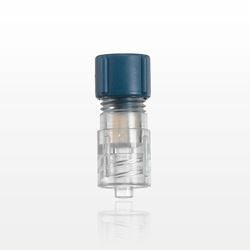 Made with a red flat cap, Qosina part #11223 is a tuohy borst adapter designed to prevent the backflow of fluid around instruments that are 6 FR - 18 FR. 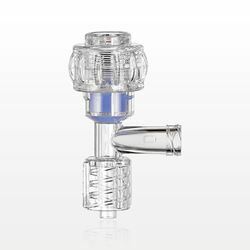 The valve features a tinted body suited for use with gamma sterilization and a barbed connection that accepts 0.449 inch - 0.472 inch ID tubes. 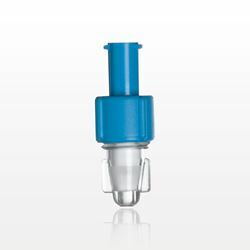 This large bore tuohy is ideal for applications which require the use of large instruments or devices. Qosina has a wide selection of large bore tuohy borst adapters to meet your project requirements. 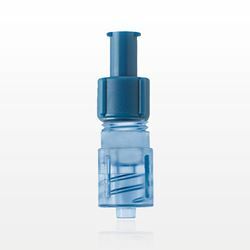 Qosina offers a variety of valves and tuohy borst adapters that are in stock and ready for immediate delivery. 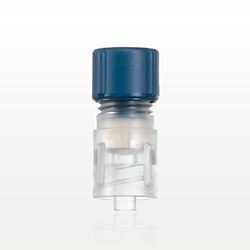 Made with a red flat cap, Qosina part #11225 is a tuohy borst adapter designed to prevent the backflow of fluid around instruments that are 7 FR - 17 FR. 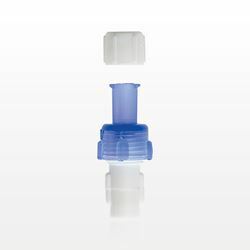 The valve features a tinted polycarbonate body suited for use with gamma sterilization, and a threaded flare connector and tubing side port for flushing that accommodates 0.2 inch OD tubing. 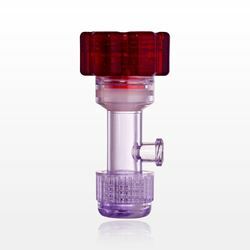 This large bore tuohy is ideal for applications which require the use of large instruments or devices. Qosina has a wide selection of large bore tuohy borst adapters to meet your project requirements.